The PulpMX Fantasy handicappers are making it really hard this year, and that is a good thing. In this 2019 season, riders with 50+ point scores have been far and few between. Heck, riders with 40+ point scores have been rare. Except for the Triple Crown race, there has been very few “set it and forget it” plays where everyone has the same team. Team owners have had to work for it, and run a little lucky. This week was no different; our overall winner was “Gamechanger”, who scored 298 points. He took it down by selecting four riders who were right on the bubble for qualifying. In the 250 class he had Scott Champion (15 qualified 21P) and Gage Schehr (16 qualified 23P). In the 450 class he had Cole Martinez (13 qualified 22P) and Ryan Breece (14 qualified 19P). They were balanced with Coop and Bowers in the 450’s and Jerry Robin and A.C. in the 250 class. Gamechanger also picked lap leaders, and picked one out of two correctly for an extra eight points. Great job this week Gamechanger, congrats on the win! Speaking of lap leaders, all of the team owners who finished in the top 5 overall this week picked at least one correctly on their team. The stats for this were interesting as well, 22.5% of team owners picked LL’s in the 250 class and 62.9% of them correctly picked A.C. The 450 class saw 21.7% of team owners pick an LL and only 12.6% correctly picked Cooper Webb. With scores being suppressed by difficult handicaps, picking lap leaders has become crucial to taking down a weekly prize, but will it get a team owner to a championship? Only time will tell. The chalk free 2019 season continued in Oakland. In the 450 class the highest picked rider was an all star, Ken Roczen (3) at 47%. Tyler Bowers (7) at 39% was second highest picked. 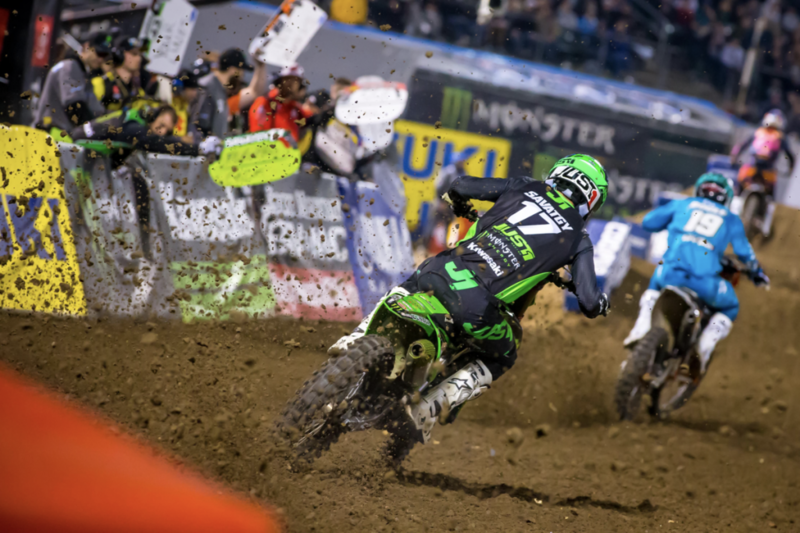 Joey Savatgy (3) followed at 34%. No other rider was above 30% picked. In the 250 class only two riders had a 30+ percent pick trend. 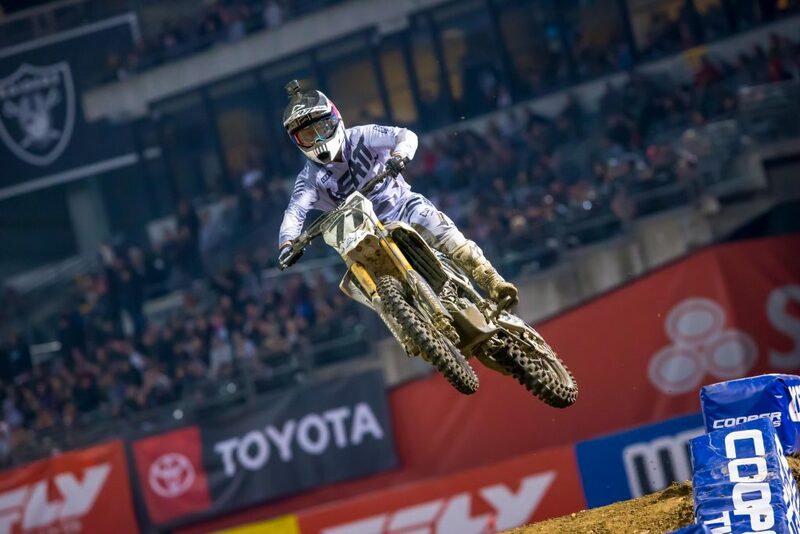 Adam Cianciarulo (3AS) was picked by 39% of team owners and Garrett Marchbanks (2) was picked by 38%. Of the high trend riders, only one really harmed their team, Joey Savatgy, more on him in a bit. Who snuck through? This week’s stealth bombers were Cole Martinez (13) with a 1% pick trend, he put up a massive 46 point score for his team owners. Kyle Chisholm (11) followed at 7% and scored 36 points (Chiz is gonna Chiz!). Finally, Ronnie Stewart (12) 2% pick and Austion Politelli (14) 3% pick both scored 30 points for their owners. In the 250 class three of the top five point scorers were under 10% picked and they all scored 34 points. Logan Karnow (15) and Gage Schehr (16) both had a 2% pick trend. Thomas Do (13) had a second consecutive strong fantasy outing for the 9% of owners who picked him. Keep an eye on their handicaps going forward as they could be good value picks again for San Diego. Joey, Joey, Joey. Through no fault of his own, Joey is back in the duds. A mechanical issue derailed his great riding, and the fantasy hopes of 39% of PulpMX Fantasy teams, including mine. Cole Seely (-2) didn’t have a good night either, scoring only 10 fantasy points for the 20% who picked him. The high picked 250 riders did OK for the most part, only Jimmy D. and RJ Hampshire, both picked by 16% of owners had a bad week, Jimmy scored only 14 points and RJ put up 13. As mentioned earlier, Cole Martinez put up the high score for the week with 46 points. He was followed by Justin Bogle (7), who scored 42 points for the 14% of team owners who picked him. Ryan Breece (14) rounded out the top three with a 38 point score for the 13% of owners who picked him. Another weird thing for this week, 450 class top scores were higher than the 250’s. That doesn’t happen often, Scott Champion (15) – 27% picked and Jerry Robin (9) – 20% trend were the top scorers at 42 points. Second highest point score was a seven-way tie at only 34 points, maybe the handicappers are a little too good this year? Haha! In the 450 class, Steve and Dan locked in A-Ray, JT chose Brayton, and Paul went with Carlen Gardner. Steve and Dan came out on top with A-Ray’s 34 point score. In the 250 class, Steve 100% locked Robby Wageman. JT and Dan went with Marchbanks. The Pro Circuit rider had a sold night in real life and fantasy, his 8th place OA finish netted 34 points for his fantasy owners. Dan won this week’s 100% lock contest with 68 points out of his picks, nice work! I hope it doesn’t rain this weekend; personally I like Supercross so much more when it’s dry. As of this writing on Wednesday the forecast calls for a 98% chance of rain for first gate drop. As usual, keep this in mind when making your picks, remember to pick riders with solid support and those who are known to be good in the “soup”. In the 250 class Jimmy Decotis is looking like a strong pick at a 1 handicap non-all star, he is definitely capable of a top five finish. Sean Cantrell is also looking tempting with a 2 handicap. He has finished 8OA, 12OA, 10OA in his last three races and has great support. 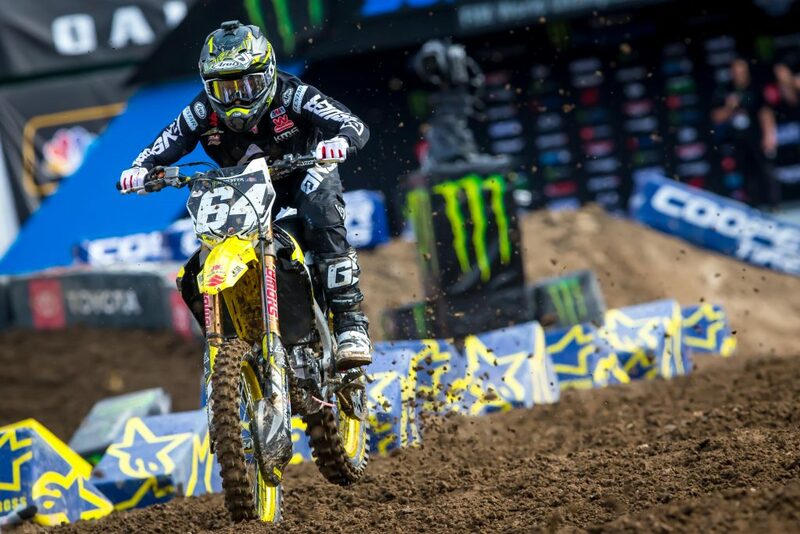 In the 450 class I like Plessinger in the mud at a 2 handicap non-all star. Kyle Chisholm at a 9 non-all star is also looking like a solid pick. Also note, Joey Savatgy will be a 5 handicap non-all star and will surely crush it since I can’t pick him this week. That’s is for Oakland, thanks for reading and good luck this week, we’ll see you on the leaderboard!